It's 2018, the ice is melting in Austin, and as we hinted last October, Metasploit 5 development efforts have begun in earnest. We have a laundry list of features that we are working on for it. The first feature merged in Metasploit 5 replaces the module cache, which decreases the memory used by msfconsole, improves startup time, and is a stepping stone for other more advanced features. Early support for Python modules is also available, and will continue to improve throughout the year. We know it can be difficult keeping track of what is new in Metasploit over time. To help users and developers stay informed over the course of Metasploit 5 development, we will be tracking substantial or breaking changes here. 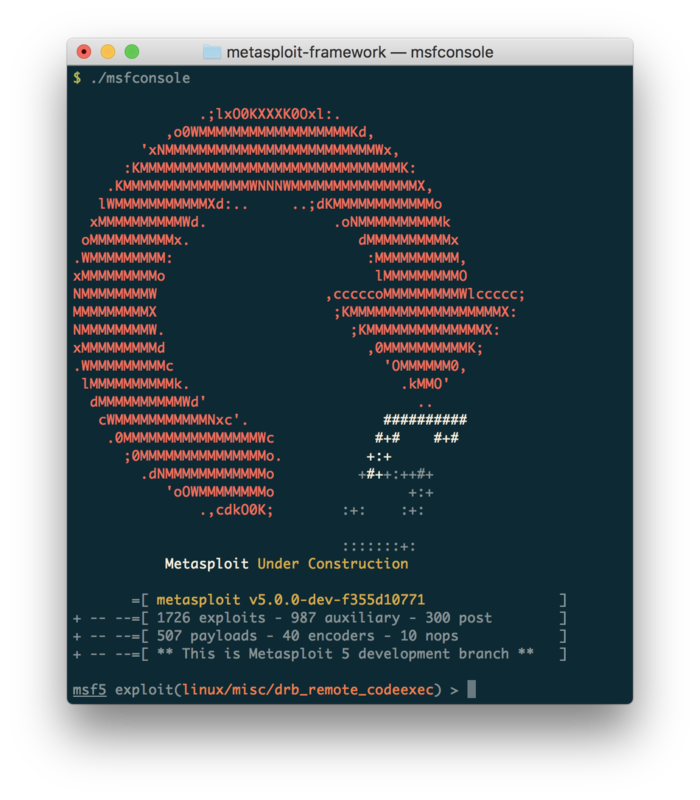 For the time being, the Metasploit 5 development tree will only be available from the Metasploit Github project as a source code checkout. Not ready to live on the bleeding edge? We are also maintaining a 4.x stable branch, which Kali Linux, Metasploit Pro, and other distributions will continue shipping until Metasploit 5 is complete. You will get new modules and bug fixes in both branches. Outside of Metasploit 5 news, there are a lot of great modules in flight in the pull queue, as well as some interesting new payload enhancements. Stay tuned next week for more of that.